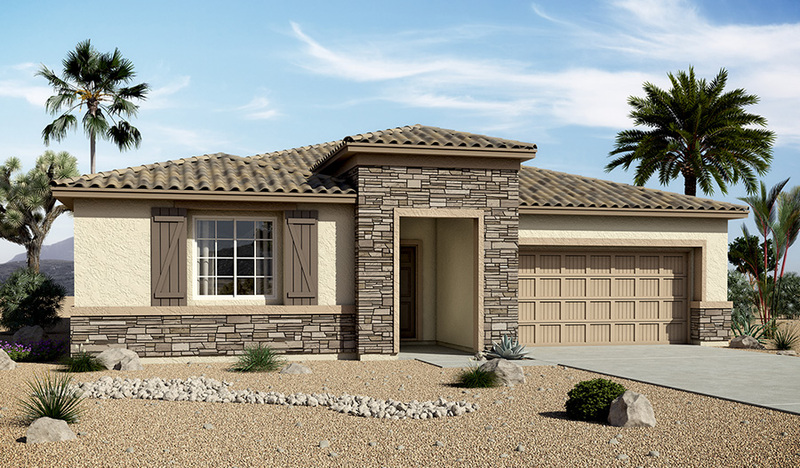 Explore the exceptional Timothy model, boasting a ranch-style floor plan and beautiful designer details. Toward the front of the home, you'll find two bedrooms with walk-in closets and a shared bath, a private study with French doors and a convenient mudroom and laundry room just off the garage. At the back, there's a great room with a contemporary fireplace and a gourmet kitchen with a walk-in pantry, center island and inviting nook with center-open patio doors. Separate from the other bedrooms, there's a master suite featuring center-open patio doors, a walk-in closet with built-in organizer and a private bath with a walk-in shower. Don't miss the extended covered patio!